YOU ARE CONSENTING TO THE TERMS OF SERVICE. 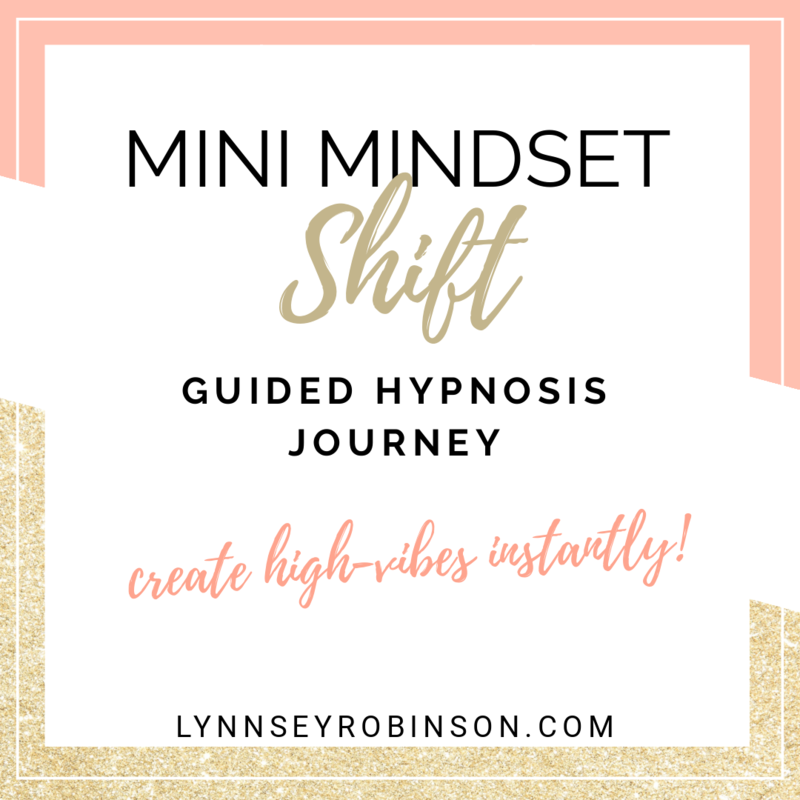 This website and it's content is owned and operated by Lynnsey Robinson Hypnotherapy. Throughout the site, the terms “we”, “us” and “our” refer to Lynnsey Robinson Hypnotherapy. Lynnsey Robinson Hypnotherapy offers this website, including all information, tools and services available from this site to you, the user, conditioned upon your acceptance of all terms, conditions, policies and notices stated here. Never listen to or play any hypnosis audio tracks while driving or performing other tasks. Always select a safe, relaxed, comfortable place where you won’t be disturbed and of course, headphones are encouraged for the best experience. The audio downloads are designed to assist your self-improvement, and give no guarantee of success. In no case shall Lynnsey Robinson Hypnotherapy, our directors, officers, employees, affiliates, agents, contractors, interns, suppliers, service providers or licensors be liable for any injury, loss, claim, or any direct, indirect, incidental, punitive, special, or consequential damages of any kind, including, without limitation lost profits, lost revenue, lost savings, loss of data, replacement costs, or any similar damages, whether based in contract, tort (including negligence), strict liability or otherwise, arising from your use of any of the service or any products procured using the service, or for any other claim related in any way to your use of the service or any product, including, but not limited to, any errors or omissions in any content, or any loss or damage of any kind incurred as a result of the use of the service or any content (or product) posted, transmitted, or otherwise made available via the service, even if advised of their possibility. Because some states or jurisdictions do not allow the exclusion or the limitation of liability for consequential or incidental damages, in such states or jurisdictions, our liability shall be limited to the maximum extent permitted by law. You agree to indemnify, defend and hold harmless Lynnsey Robinson Hypnotherapy and our parent, subsidiaries, affiliates, partners, officers, directors, agents, contractors, licensors, service providers, subcontractors, suppliers, interns and employees, harmless from any claim or demand, including reasonable attorneys’ fees, made by any third-party due to or arising out of your breach of these Terms of Service or the documents they incorporate by reference, or your violation of any law or the rights of a third-party. This website does not provide medical advice. The content is for informational purposes only, to be used for vocational and avocational self-improvement, and as alternative or complementary treatment to healing arts services licensed by the state. A hypnotherapist is not a licensed physician or psychologist and hypnotherapy services are not licensed by the State of California. Services and content are non-diagnostic and do not include the practice of medicine, neither should they be considered as a substitute for licensed medical or psychological services or procedures. If you purchase a service for weight loss and/or other health and fitness goals, you may be provided general nutritional advice and/or recommended published books, food guides and health and fitness publications. This is not a substitute for medical advice and you are advised to seek your Doctor’s approval before making any medical/health/lifestyle changes. Services may consist of a program of conditioning, including an undetermined number of private sessions, depending on the client’s individual needs. We will, to the best of our ability, endeavor to accomplish the objectives of the client’s sessions. While hypnosis may be an effective technique for many purposes, the effectiveness may vary from individual to individual, and no specific results or progress can be promised or guaranteed. Client Confidentiality: While it is our practice to keep client information confidential, information revealed in hypnotherapy is not subject to the psychotherapist-patient privilege. A court may order disclosure of information learned in therapy. Expectations of therapy: The feelings and experiences one has in the hypnotic state can vary from individual to individual. Many people remain completely aware of everything that is going on while in hypnosis. Some individuals experience a hyper-awareness where sensations are perceived enriched and vivid. The ability to visualize or imagine is often enhanced. A feeling of deep relaxation is common and some people describe the hypnotic state as an escape from physical tension and emotional stress, while remaining completely alert. False Memories: The use of hypnosis could elicit memories of past events which may or may not be literally true. It is possible that events under hypnosis will be distorted or misconstrued. Memories or images evoked under hypnosis are not necessarily accurate and may be a construction or a composite of memories. Without corroborating information, it is not possible to determine whether a specific memory is true or false, even if it seems true to the client. By purchasing a service you acknowledge your agreement to these Terms & Conditions. These Terms of Service and any separate agreements whereby we provide you Services shall be governed by and construed in accordance with the laws of 5301 Laurel Canyon Blvd., Valley Village, CA, 91607, United States. Questions about the Terms of Service should be sent to: Team.LynnseyRobinson@gmail.com.